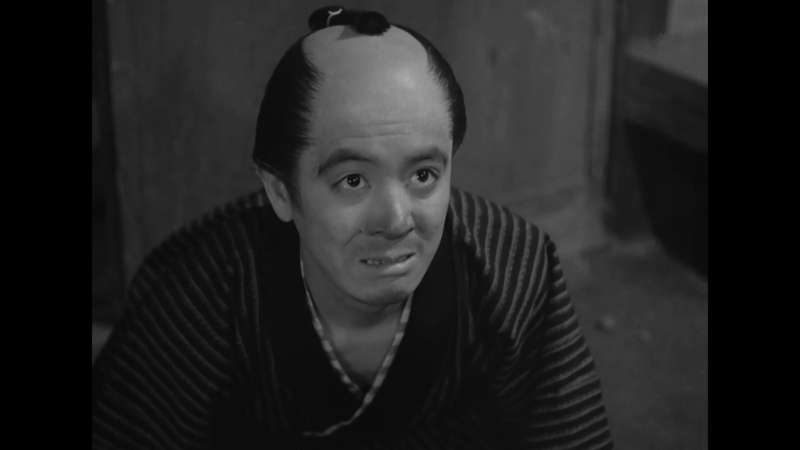 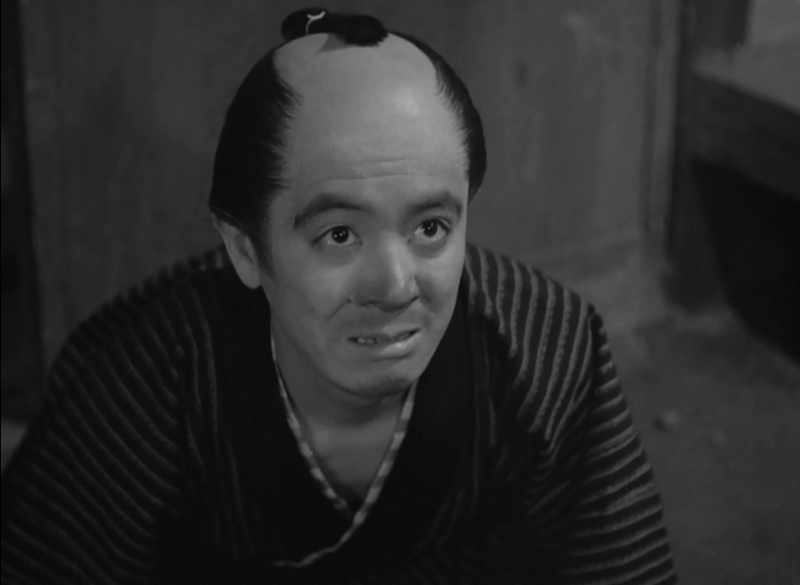 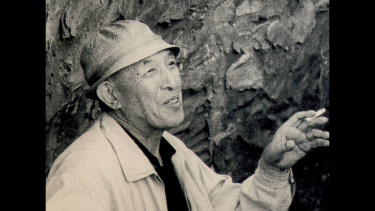 Praised by Japanese film critics and much admired by his contemporaries Akira Kurosawa and Yasujirô Ozu, Tomu Uchida nonetheless remains a little-known in the west. 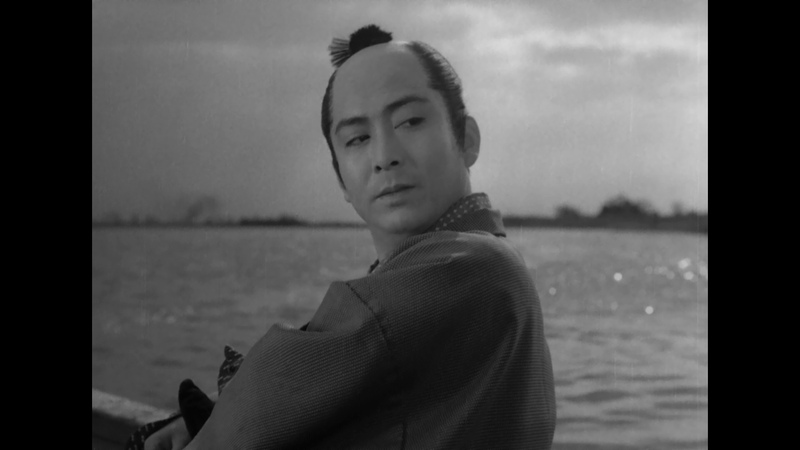 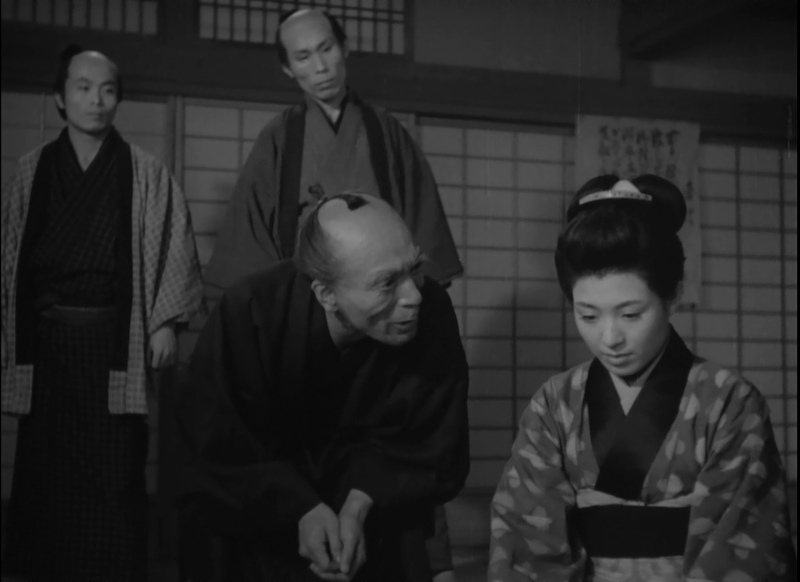 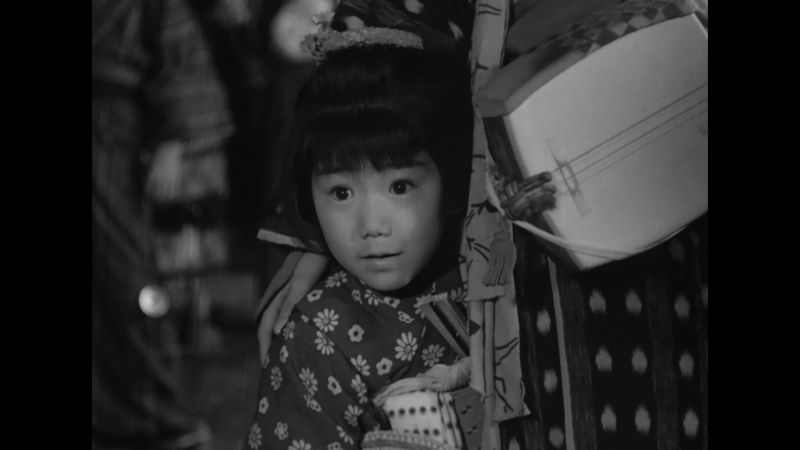 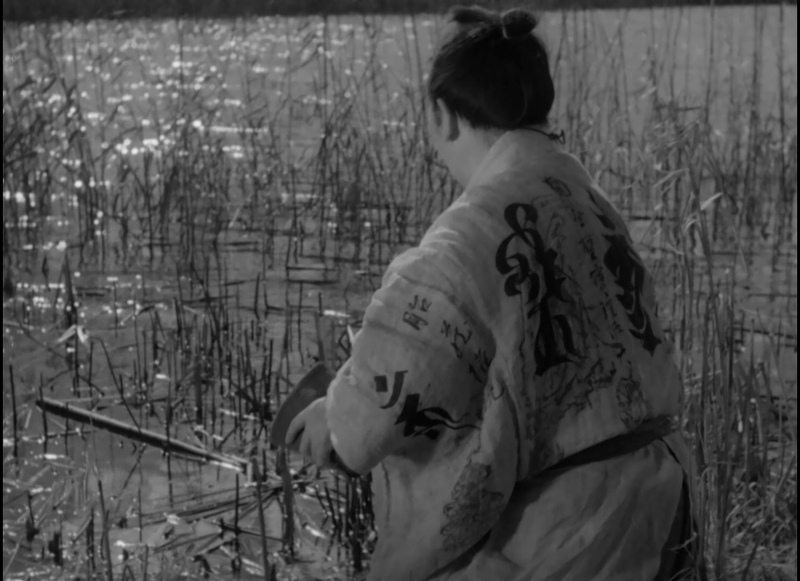 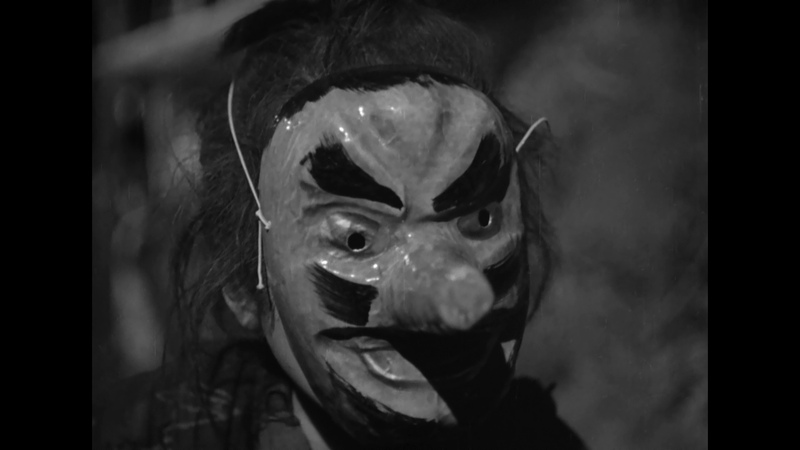 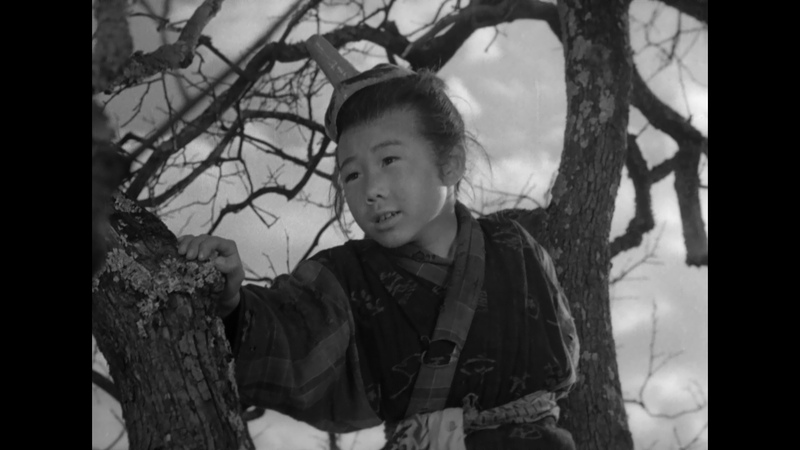 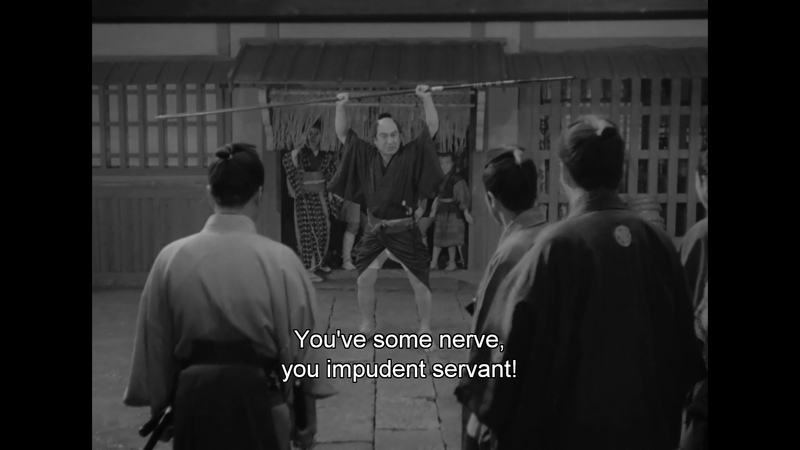 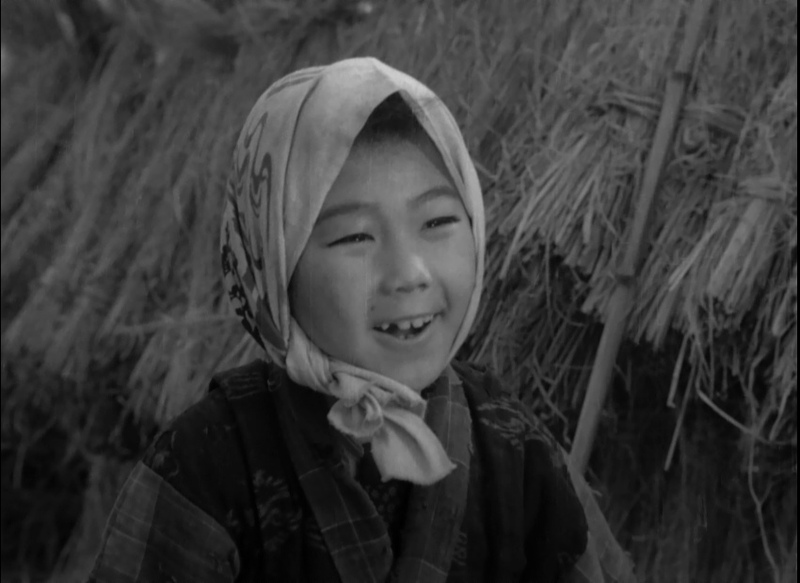 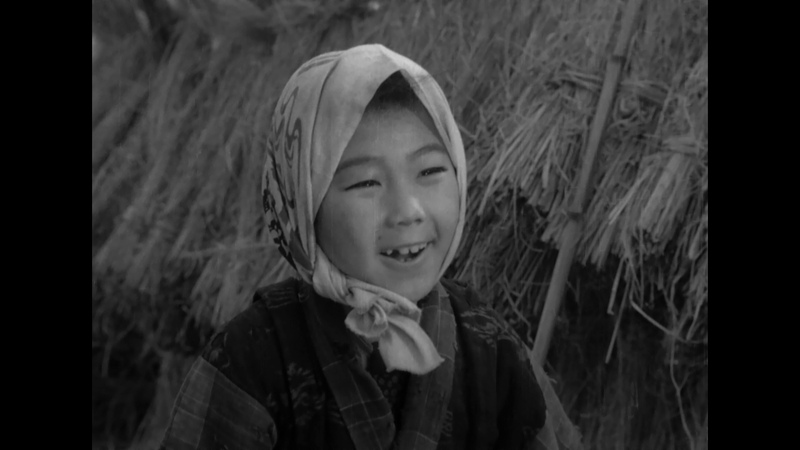 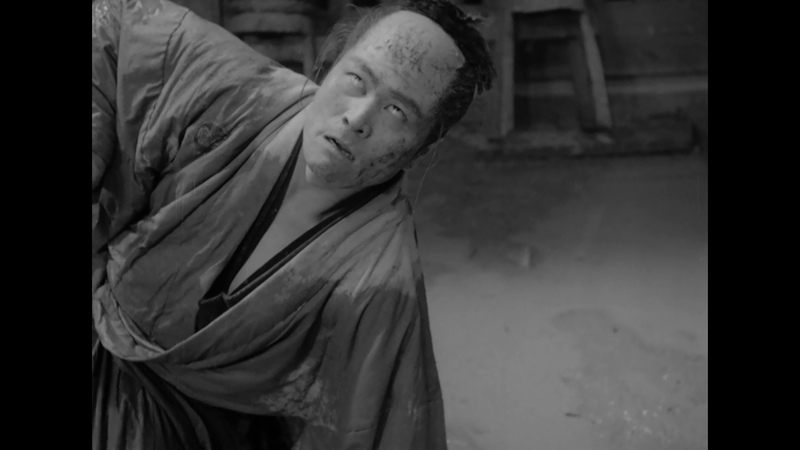 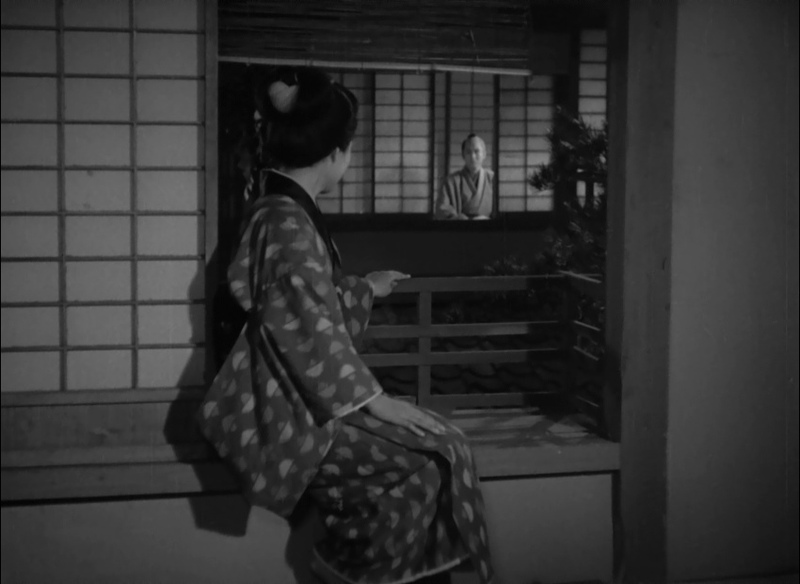 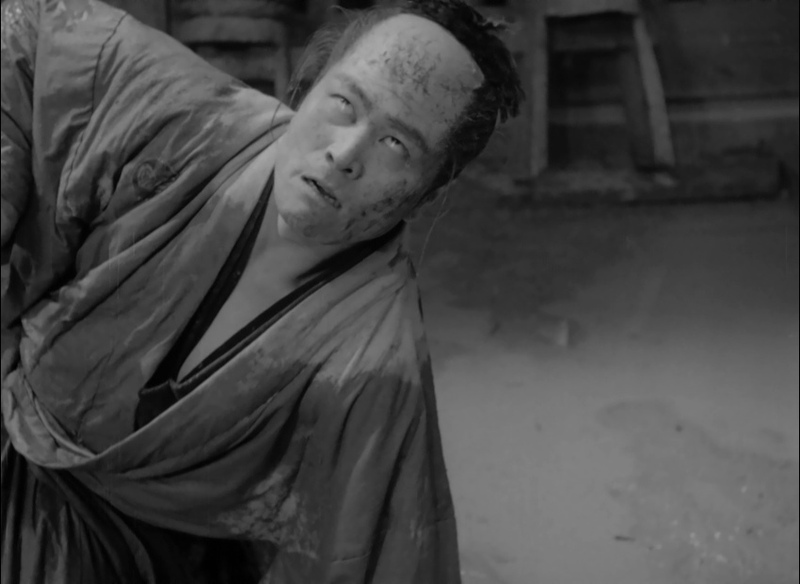 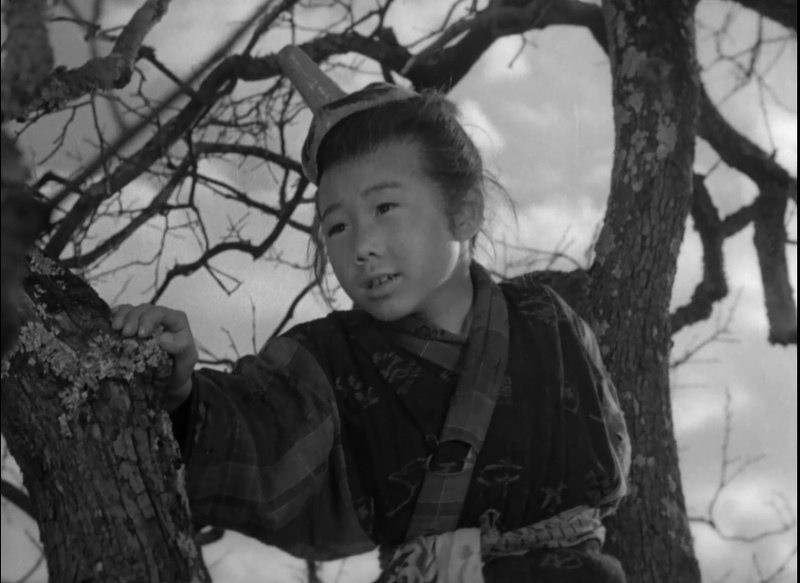 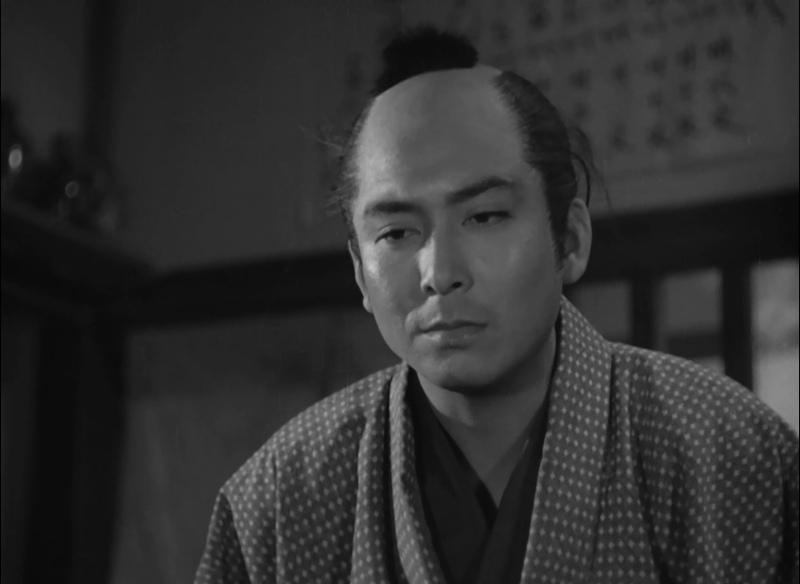 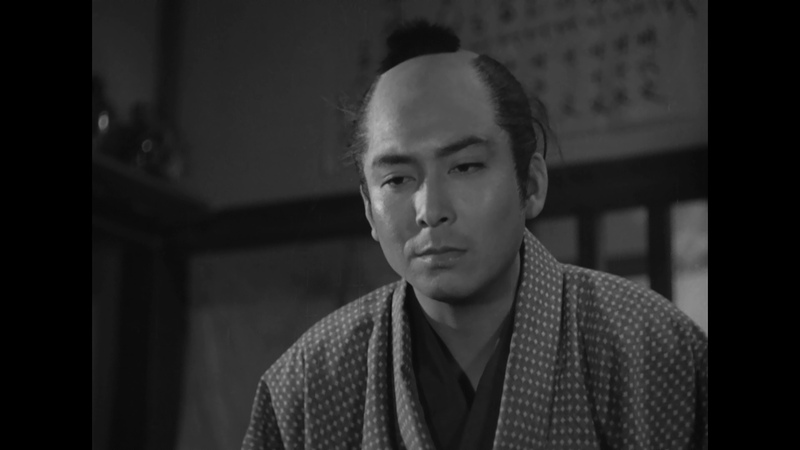 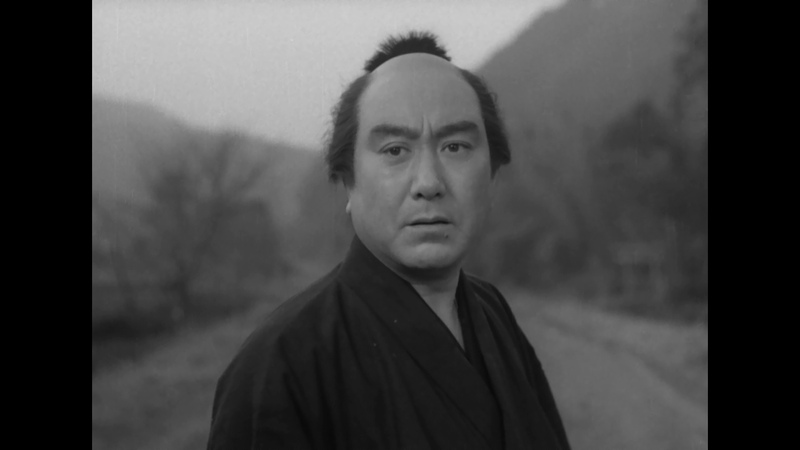 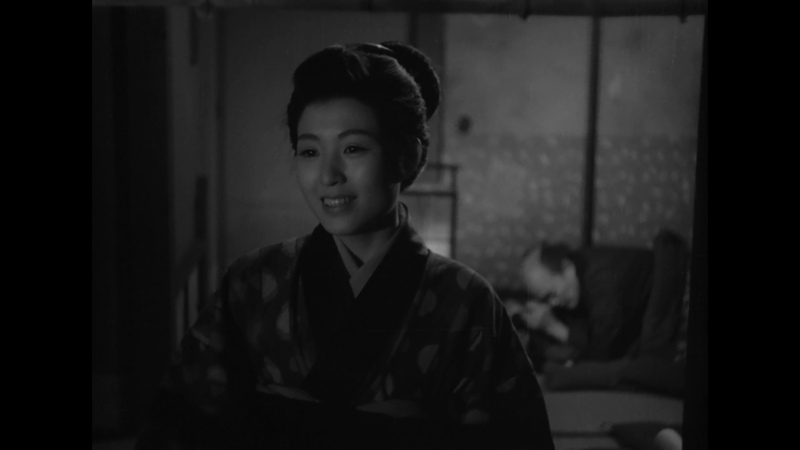 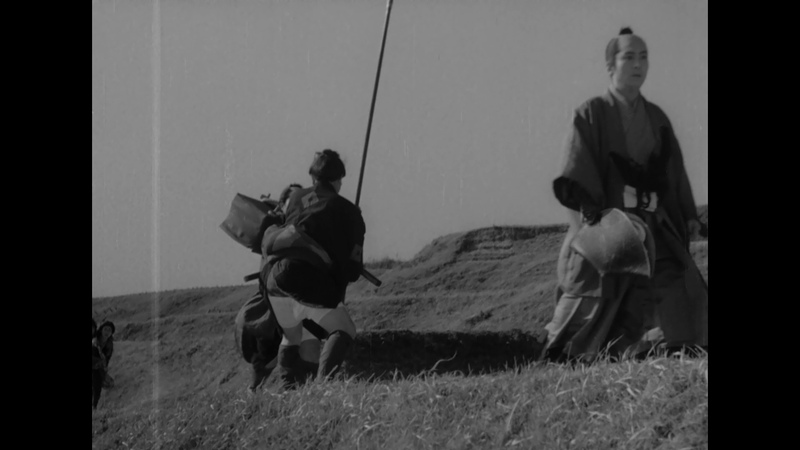 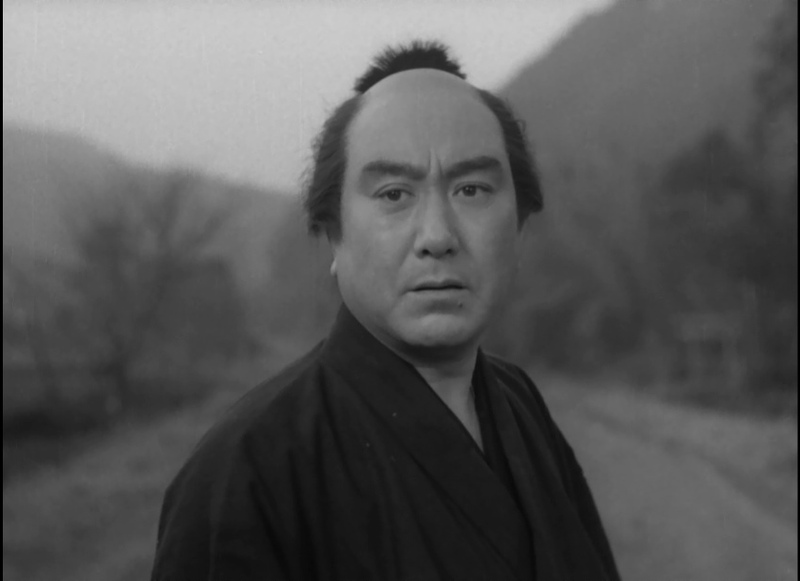 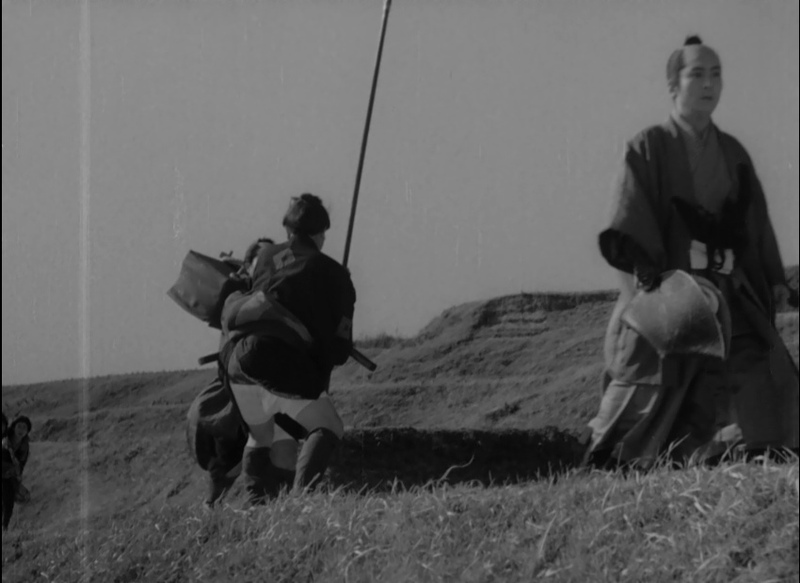 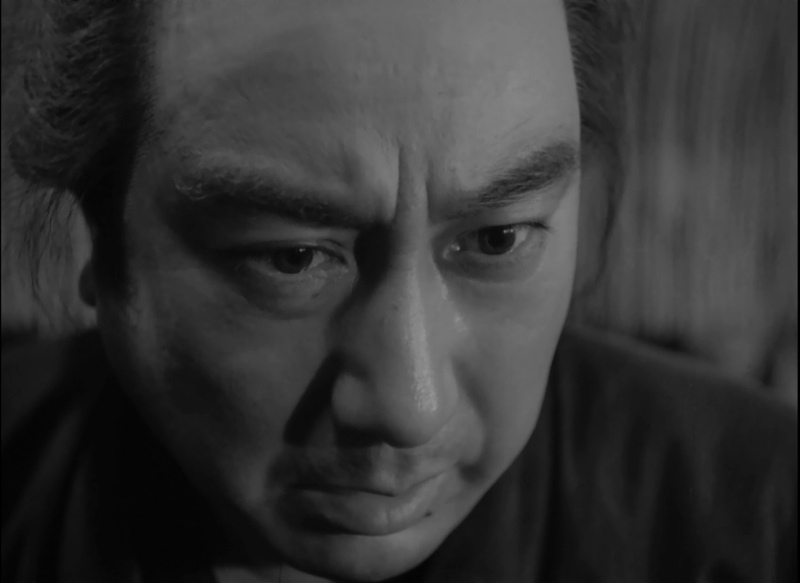 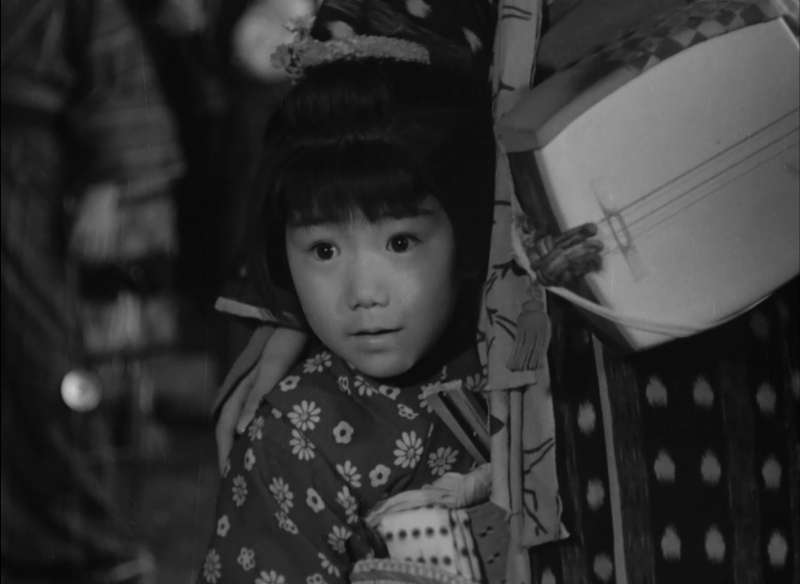 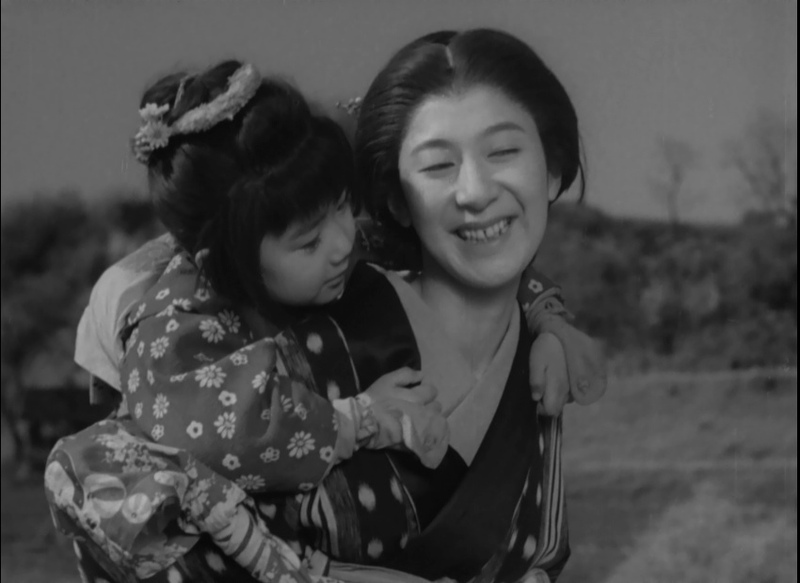 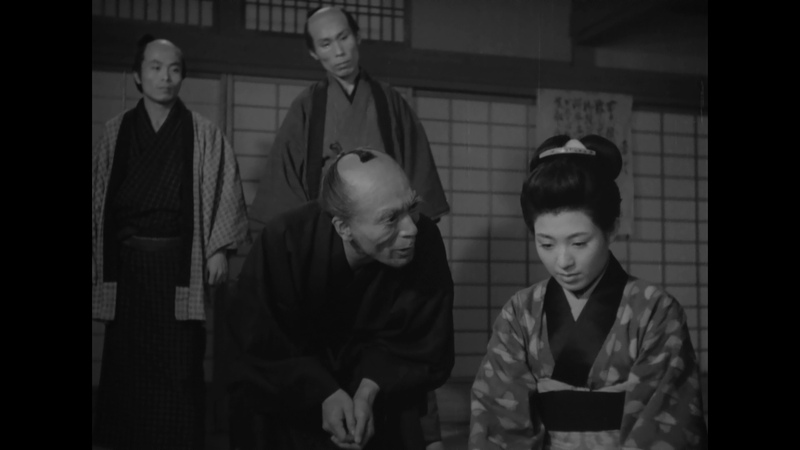 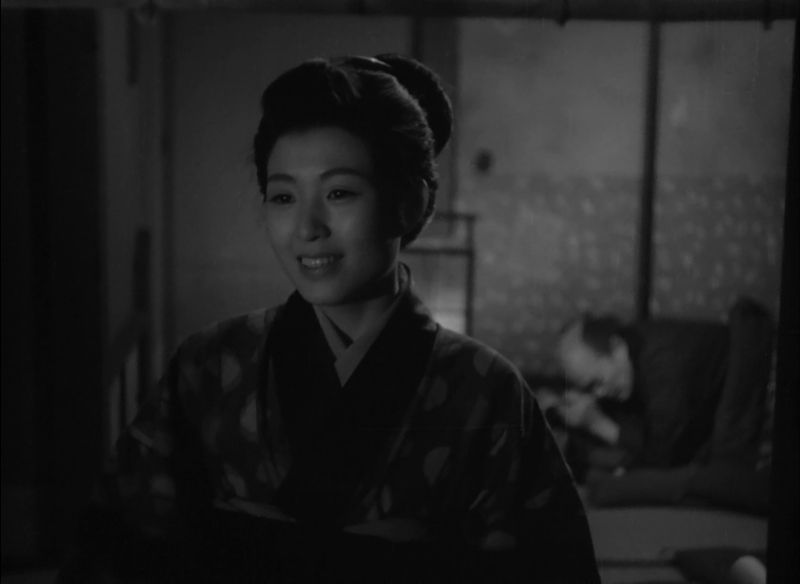 His 1955 masterpiece Bloody Spear at Mount Fuji is an excellent entry point for the newcomer. 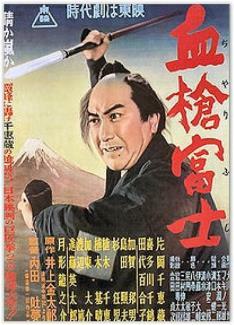 Set during the Edo period, Bloody Spear at Mount Fuji is a tragicomic road movie of sorts, following a samurai, his two servants including spear-carrier Genpachi (Chiezô Kataoka) and the various people they meet on their journey, including a policeman in pursuit of a thief, a young child and a woman who is to be sold into prostitution. 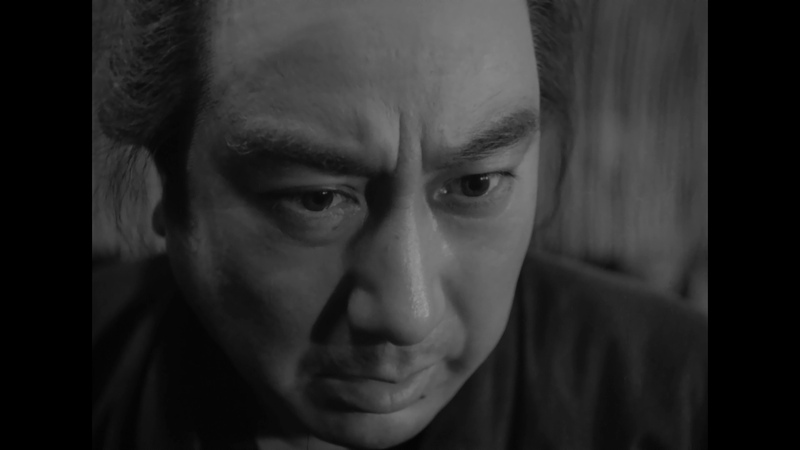 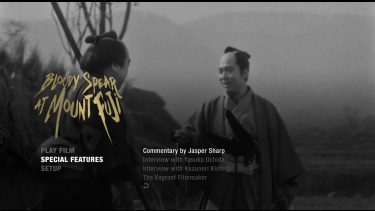 Winner of a prestigious Blue Ribbon Award for supporting actor and Kurosawa regular Daisuke Katô, Bloody Spear at Mount Fuji is a film deserving of much wider international recognition. 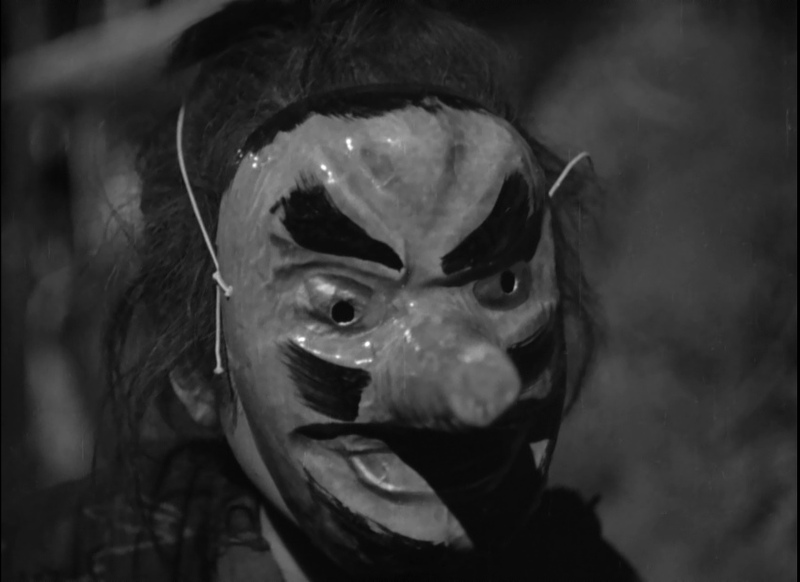 Arrow's new Blu-ray is as imperfect as the source. 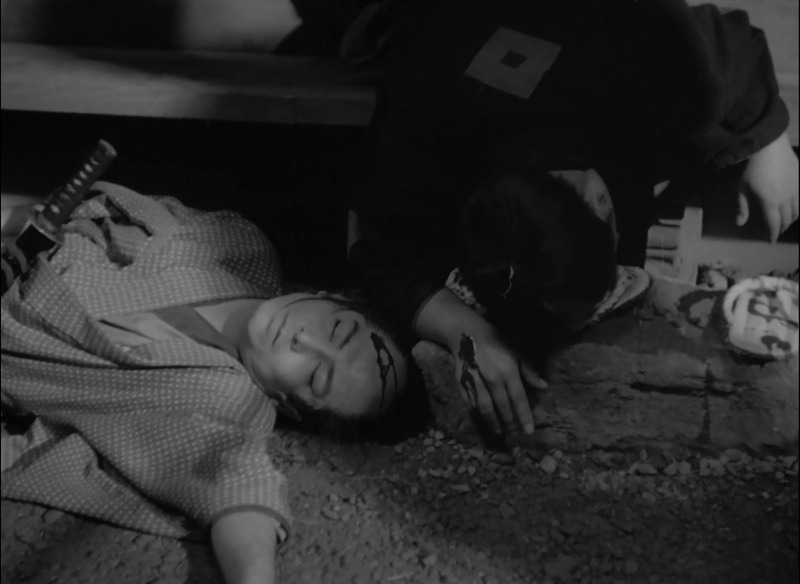 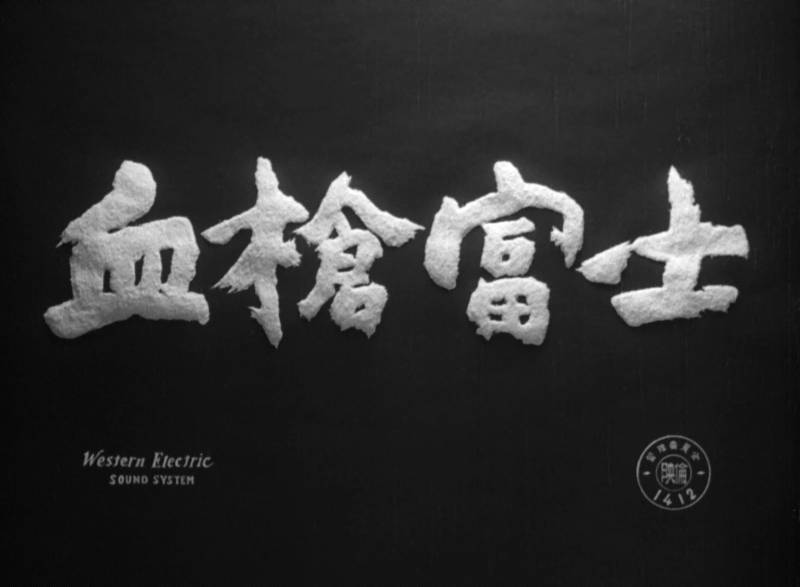 There is some damage and a very thick, slightly waxy visual presentation but this is fairly commonplace for Japanese films of this era. 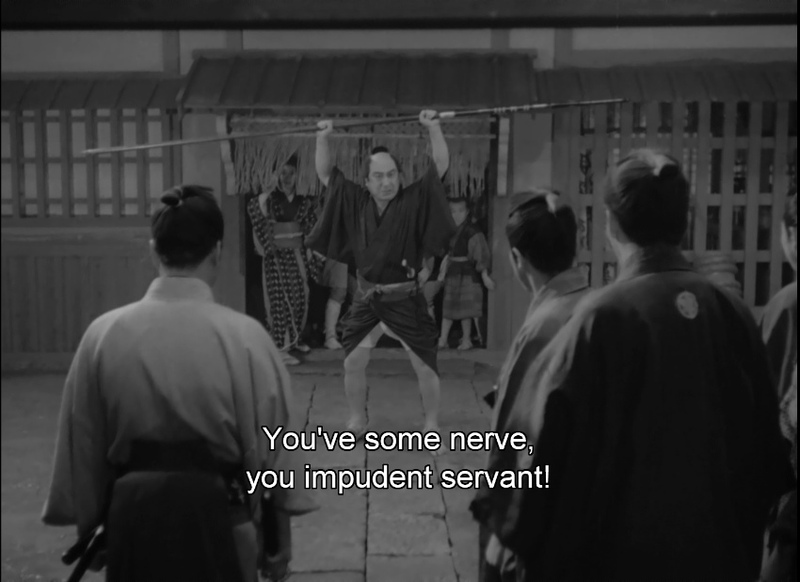 They are often not stored adequately and always tend to look heavy. 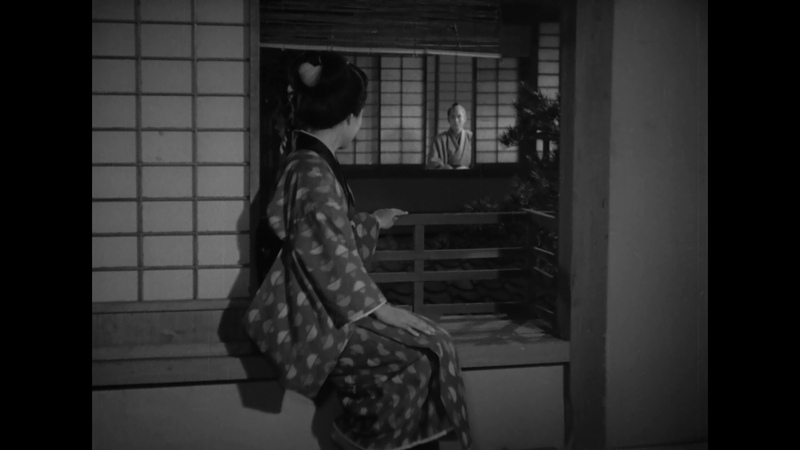 In-motion this is fine - the softness is fairly consistent and the damage is usually frame specific and never intrusive. 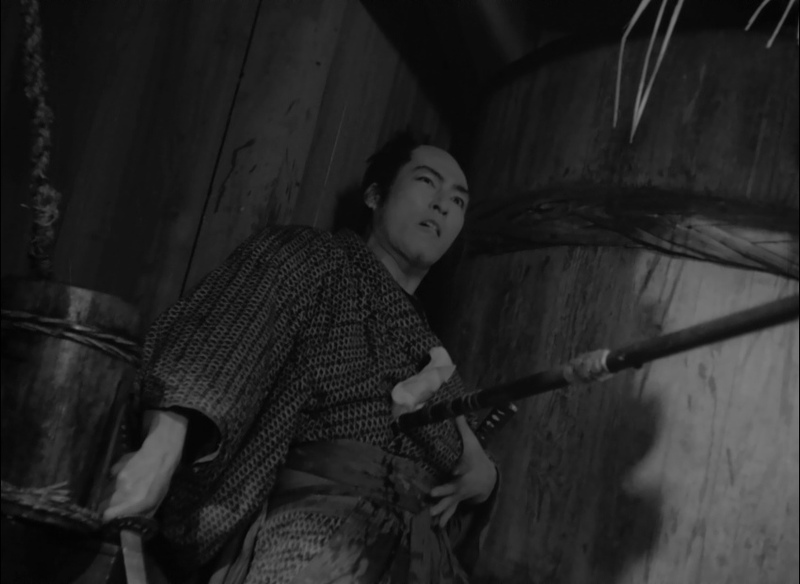 I was very happy to simply see the film - great job for bringing it out Arrow. 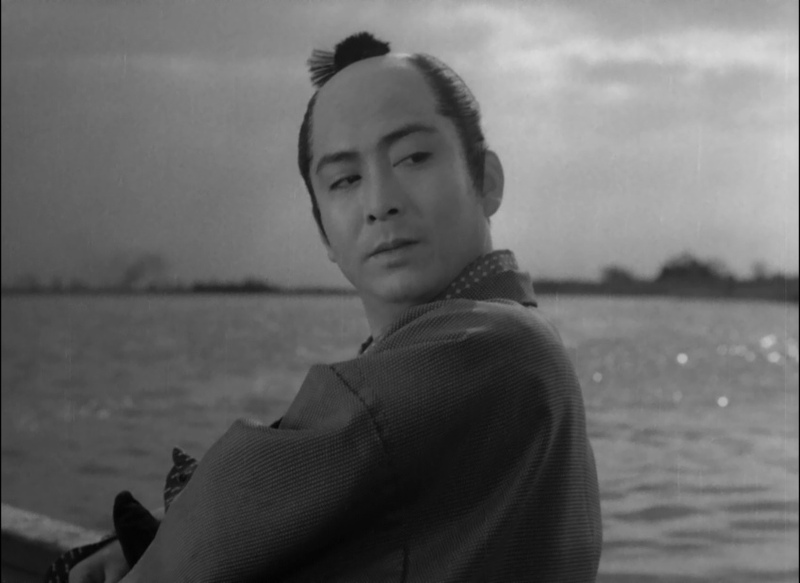 Arrow provide a linear PCM 2.0 channel mono track (24-bit) track in the original Japanese language. 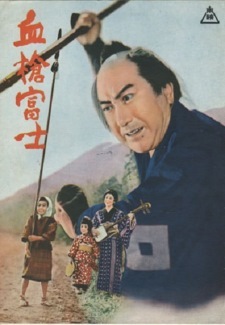 The film has some aggressive effects but they don't export much weight. 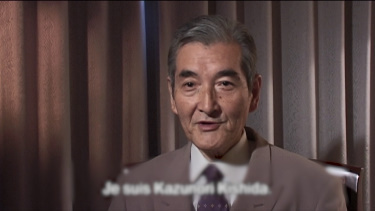 The score is credited to Taiichirô Kosugi (Smashing the 0-Line). 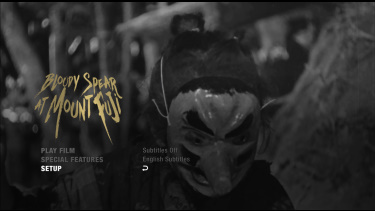 Arrow add optional English (SDH) subtitles and being available in North American and the UK it is a Region 'A' / 'B' Blu-ray depending on your geographic location. 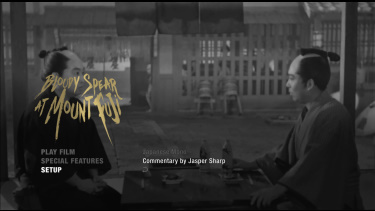 Arrow include a brand-new audio commentary by Japanese cinema expert Jasper Sharp, recorded exclusively for this release and it is at his usual informative excellent level, really helping establish some historical context for the film. 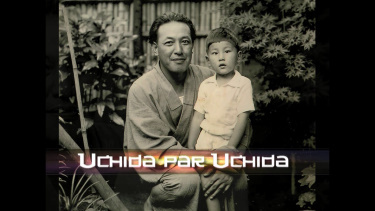 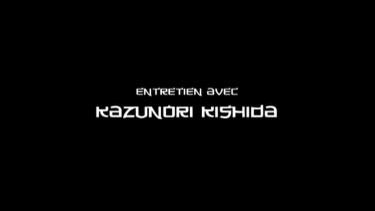 There are archival interviews with Yasuka Uchida for almost an hour, and with Kazunori Kishida for about 1/4 hour. 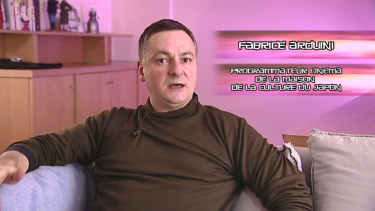 The Vagrant Filmmaker is an interview with French film critic and programmer Fabrice Arduini running shy of 1/2 hour. 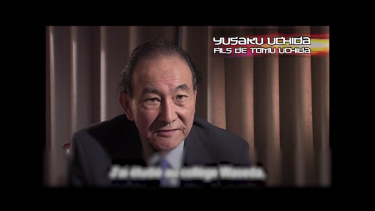 These all have English subtitles and are of limited video quality. 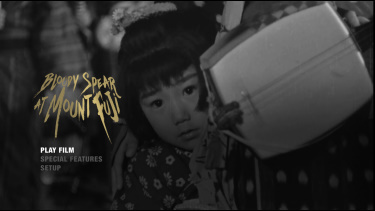 The package has a reversible sleeve featuring original and newly commissioned artwork by Corey Brickley and for the Blu-ray's first-pressing you get an illustrated collector s booklet featuring new writing on the film by critic and filmmaker James Oliver. 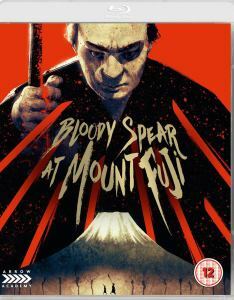 Bloody Spear at Mount Fuji is awesome. 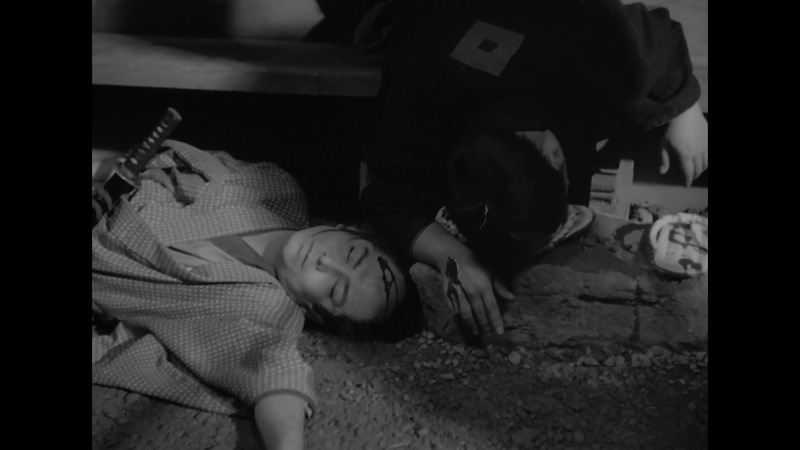 It's a road film - both tragic and satisfying starting out very light and turning very dark in the last third. 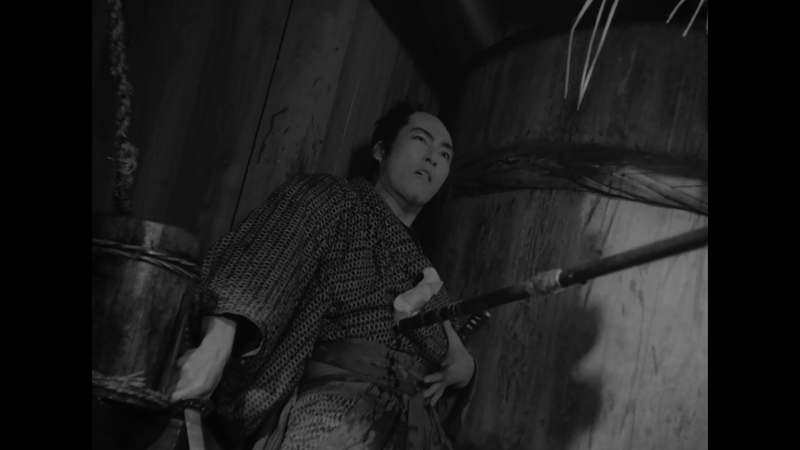 The Arrow Blu-ray gives an HD presentation with a wonderful commentary and some video supplements. 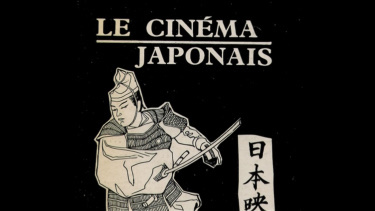 It is fabulous package for Japanese and world-cinema fans - and it is and available in regions 'A' and 'B'! 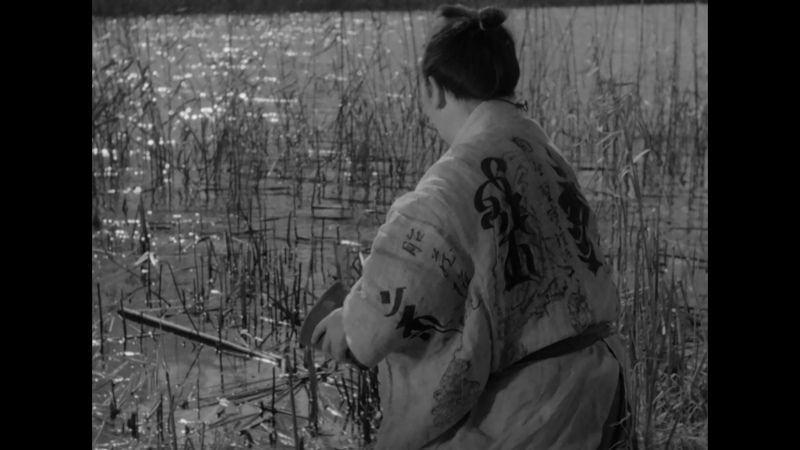 This is an exceptionally good film and we give this Arrow Blu-ray a strong recommendation!